Seamless integration with live events, international distribution on multiple platforms, providing a project home for multi-edit series – always innovative, always personally customized. We have a large complement of editorial tools. We’re fully equipped to mix, sweeten, VO and layback your final video project. We have a myriad of capabilities required to capture, export and transcode digital media. Utilizing Signiant Media Exchange, we are capable of both sending and receiving large file transfers. Digital asset management offers an effective solution to store and organize your library. AMV’s Manhattan-based sound stages are conveniently located in Chelsea and Midtown West. Each stage is fully customizable to meet the needs of your production from beginning to end. 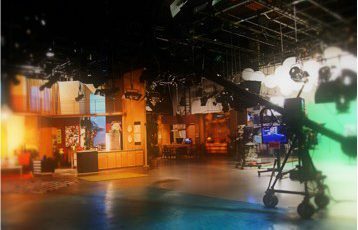 We provide master control center, media management, and business services for independent, small group, and public television broadcasters. As the original and longest standing department of All Mobile Video, the Rentals Division personifies AMV’s approach to business. Everything we rent is carefully tested and maintained by a meticulous team of engineers and technicians. We have a large complement of editorial tools. Our Avid and FCP suites are equipped with Sapphire plug-ins as well as the full adobe graphics package. We have Unity, Interplay and Isis available for your storage needs. Our systems are all scalable so whether you need a suite for a day or multiple systems for several months, we can accommodate you. Our editors are a dedicated group of creative, deadline-oriented professionals who will work tirelessly until your project looks & sounds exactly the way you’ve envisioned it. With our 5.1 ProTools Audio Suite, we’re fully equipped to mix, sweeten, VO and layback your final video project. We can also upmix to 5.1, provide LKFS loudness measuring and have Dolby E and AC3 encoders available. 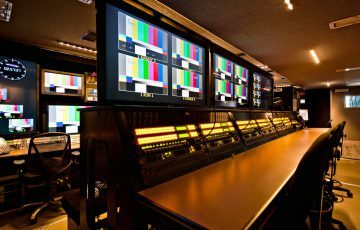 We have incomparable expertise in providing a wide range of tape and digital deliverables whether for broadcast, web-based, or HD Cinema distribution. Accordingly we can provide full QC services, closed captioning, legalizing and accommodate virtually any frame rate conversion or transcoding required. We utilize Alchemist and FOR-A for frame rate conversions, as well as Amberfin for software transcoding. We have the capability to create Digital Cinema Packages (DCP); clone and dub virtually any HD or SD tape format (including legacy formats); master BluRays; and provide DVD authoring and fulfillment services. 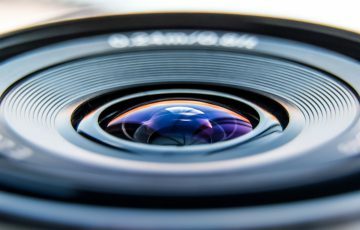 We have a myriad of capabilities required to capture, export and transcode digital media and we also have the knowledge to help guide you through the process. So whether you need media digitized, a final project exported, or multiple versions delivered, we can assist you. What might sound like Greek to you, is music to our ears. So whether it’s Ki Pro, SD flash cards, RED or Cinedeck, we know how to navigate. Utilizing Signiant Media Exchange, we are capable of both sending and receiving large file transfers with speed and security. We grant clients individualized access to suit their needs. And if we are transferring to a third party on your behalf, we can track the status of downloading and confirm completion of delivery. Digital asset management offers an effective solution to store and organize your library. At Chelsea, we have virtually every type of VTR and have vast experience creating digital media from all existing broadcast formats. Once digitized, clips can be easily accessed, shared and retrieved and tape storage becomes obsolete.